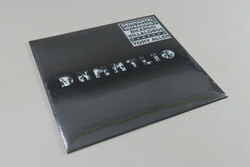 Tony Allen & Ricardo Villalobos - Dekmantel 10 Years 10.1. Vinyl 12. Bleep. Dekmantel’s tenth birthday series has given us plenty of great music, but the final instalment might be the jewel in the crown. Split over two vinyl, Dekmantel 10 Years 10 features three artists who are each, in their own way, masters of rhythm - Tony Allen, Motor City Drum Ensemble and Ricardo Villalobos. Allen’s 1999 track ‘Asiko (In A Silent Mix)’ is a treasure trove for any remixer, and the first half of the drop is dedicated to Villalobos’s lengthy reimagining. For almost thirty minutes and across both sides of vinyl, the Chilean-German producer takes us deep into the groove. Clattering drums, ghostly harmonies and eerie swells of synth combine on this psychedelic minimal techno masterpiece. Look out for part two as well, which will contain Allen’s original and a club edit by MCDE.